Look, I’m a wine professional. I know a bit. But in most restaurants, faced with their list I’m just guessing when I choose a wine. So imagine how it is for normal people? Inspecting the wine list becomes an insane ritual. Choosing wine becomes a guessing game that alienates rather than includes. What should be a fun, relaxing occasion can end up becoming stressful. The only wine lists that work for me are in high-end places where they focus on natural/authentic wines that I know pretty well, or where there is a good sommelier who can read the table well and make good suggestions. That’s a very small proportion of the restaurants out there. Not many of them have staff who know the list, and who know how to read the table. Too often, wine lists fall into two camps. The first, is a high-end establishment with a book-like list of many hundreds of wines, where it’s simply a list showing the name of the wine and the price. Without a good sommelier, this sort of list is not at all user-friendly. Some places think that the bigger their wine list is, the better it is. At the extreme end is the over-long list where the sommelier doesn’t want to sell the last bottle of each wine, in order to keep the breadth of coverage. The second is the sort of wine list you find all over the place, usually in more non-wine-focused establishments, which is an off-the-peg list from one supplier. These are usually inexpensive wines that are marked up highly. To cover the mark ups, the wines are given made-up names. Look: restaurants have to make money, and we expect them to mark up their wines significantly – no one reasonable thinks they can drink in a restaurant at retail prices. This is one reason why consumers should be suspicious of private label or soft brands, or retailers who insist on exclusivity. It’s almost always to hide margin. My big problem with these sort of lists, though, is that they tend to be spectacularly bad at helping customers choose the wine they want. Normally, they have tasting notes written in fluent wine-trade talk – these notes are essentially unintelligible babble to non-wine people. In these cases, it might be better to simply treat the wine as a commodity, and provide a list with simply the colour of the wine, or only the grape variety. Could wine lists be done better? I think so. They have to be written with their broad customer base in mind. In many establishments, most customers know nothing about wine and will find wine speak alienating. There must be a way to communicate about wine better than using wine speak. Wholesalers aren’t usually very good copy writers. Where is the creative spark? Cash margin rather than gross profit could be a way to help us get out of this mess. 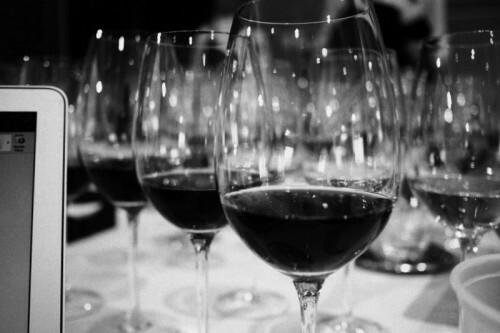 High gross profit requirements restrict the sorts of wines that many restaurants can sell. Only very cheap wines will ever shift if the accountants insist solely on 70% GP. By relaxing GP requirements and paying a bit more for wine, there could very well be at least as good cash margin returns because customers will end up ordering more wine, or going higher up the list, because the wines are more interesting (or simply, they taste better). While many customers know very little about wine, I think a good proportion of them know whether what they are tasting is good or not. Sell rubbish wine, and people realise it in the end. And simple wine lists can be great when the wines are well chosen. I went to a seafood restaurant in Aix-en-Provence where the list was simply ‘Chablis’ and ‘Muscadet’. I ordered both and they turned out to be excellent wines from good producers. That’s a restaurant I can trust. And I’m all for wine on tap, when the wine is good. For simpler restaurants, do we need bottled wines (especially when these are often UK-bottled from bulk-shipped wine) with their fake names? Why not think of wine as we do of the ingredients: the restaurant should take pride in sourcing their wine well at a particular price, and serving it on tap. Why should wine be different to food, in being part of the brand promise of a restaurant chain? But there are some reasons why it will always be a challenge to produce a good wine list. The first is the gap between perception and words. It is very difficult to translate flavours into verbal descriptions. Writing about the taste of wine is an abstract thing to do, and it’s hard to communicate flavour verbally. I think that iPad or tablet lists, while they sound innovative, are a bad idea. Yes: they can communicate a lot of information. But this information, even if it is in the form of stories, will be too arcane for most customers. And unless you are dining alone, who is going to have time to navigate this information-rich resource? You need a way of leading people to a wine fairly quickly. There’s the hybrid solution, of course. One short list, mostly with by-the-glass options, and short explanations about each wine. Then there’s a longer list for the more involved. This is a step forward. The most important thing is to put yourself in the shoes of the different customers who will be reading the list. How effectively does it steer them? Is it creative? Is it fun? Is it useful? There’s no easy solution, but we have to try. 9 comments to Why are most wine lists so bad? Can anything be done? I agree to the extent that I can find fault with any wine list I’ve ever seen. What we need is more examples of what would be ideal. I think a list should be organized to reflect guests’ priorities and the flow of their decision making: wine or something else? Glass or bottle? White or red? etc. And once you’ve reached a category of one page or less, say Côtes de Beaune whites, your guests might be happy if you list them in order of ascending price. I do not have the benefit of extensive travel such as yourself, but I am optimistic about the state of wine lists, at least in my little corner of the world. We have been judging Auckland wine lists and drink lists for the annual Metro Top 50 Restaurant awards and apart from two that fall into your second category, and perhaps two in category number 1, they have generally been pretty solid, well chosen and user friendly. Our winners (Best Wine List and Best Drinks List), which will be announced on April 29 showcase how a list and the staff can make wine selection fun and interesting. And yet, I have been associated with these awards for around eight years and when I first started it was indeed wrist slashing material. Really great to see that all of the top eateries in Auckland have pulled themselves up. There is some repetition (dare I say it, “me too” winelists, especially around one part of town curiously), but generally the standard is pretty good, there are lots of glass pours and slowly the idea of half bottles is becoming fashionable. Now we need to get more Kiwi producers (there are plenty of imports) to consider halves. This is an important blog post – and thanks for jumping into the debate. Great article Jamie. One of the biggest issues in South African restaurants is the practice of one of three or four wine distributors “buying” the list. This makes life difficult fir smaller higher quality producers but also keeps competition away from the paying customer. Maybe some transparency would be good for customers eg more than 50% of this wine list was provided by or in the alternative the restaurant can be proud and say we choose our own wine. Unfortunately most wine customers in restaurants have absolutely no idea what they are drinking! I agree that this does not help customers who don’t waste significant amounts of time reading about and consuming wine. Oftentimes they will be better off staying at home and ordering in from Deliveroo. I agree with the statement that plenty of wine lists are bad, but no for the way they are written but the wines they contain, and I have written about it on my blog many times, the earliest post goes back to 2009, https://www.italyabroad.com/blog/restaurants-house-wine. My issue with wine list is, when a good sommelier is not available, they are not made thinking of the food served and the diners eating there, but are made thinking margins and include all wines diners are already aware of, with restaurants ending all having exactly the same lists. The solution for me is to shorten the list and add the food they are suited for. Diners only have and want a few minutes to choose their wine in a restaurants, and establishments cant make description too diner friendly without avoiding wine to read all the same, plenty of wines are fruity, oaked, it wont work…. Italian lists are problematic in many of these ways..and more. But since I work mostly on the production side of the wine biz these days, I’d like to put out there that wine communication starts with the producer. She should know how to describe the experience of drinking her wine, and she should pass that on to her wholesale and direct customers and in social media. Whoever writes the wine list is entitled to expect input from the source! Seems a bit unnecessary to kick off this article with a huge photo of a specific restaurant – a restaurant that I might add has been loved by many and been successful for over 17 years…. Someone must like their wine list. As Gerard mentioned above there can be issues in South African restaurant wine lists but even many high end ones accept customers bringing their own wines and charging a reasonable corkage fee. It does discourage rampant profiteering and help ensure you can be sure to get something you are happy with as to its quality. Requiring UK restaurants to offer a published corkage fee would help solve both the “unknown quality” on a wine list and ensure more reasonable margins.